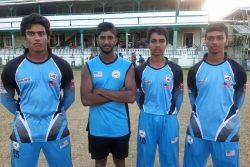 Combined Campuses and Colleges Marooners … have been the surprise element of the Regional Super50. 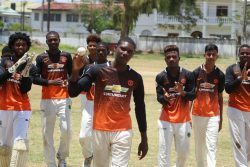 RIDGETOWN, Barbados, CMC – Surprise semi-finalists Combined Campuses Colleges Marooners will have the unfortunate task of facing tournament favourites Trinidad and Tobago Red Force today in order to reach the Regional Super50 final. Marooners, led by inspirational captain Carlos Brathwaite, defeated Leeward Islands Hurricanes in their final preliminary round match on Monday night here, to top Group B with 26 points. 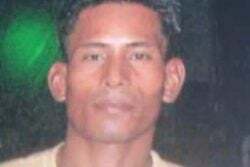 This ensured them a clash with Red Force who ended second in Group A with 27 points. The two teams face off at Kensington Oval on Thursday at 2 pm in the first semi-final. Red Force are boasting a star-studded unit with the likes of Dwayne and Darren Bravo, Lendl Simmons, Kieron Pollard and skipper Denesh Ramdin all included. Marooners have been outstanding, however. They lost two of their first three matches before rebounding to close out the preliminary round strongly. In Friday’s second day/night semi-final, Guyana Jaguars will take on Jamaica Scorpions, in what is expected to be an evenly contested affair, also at Kensington Oval. Jaguars finished top of Group A on 29 points while Scorpions were second in Group B on 26. The final is carded for 11:30 am at the same venue on Sunday.